The Doctors kicked off their show by talking about an Australian woman named Beth who posted graphic pictures of herself detailing the effects of cancer surgery on her body and was de-friended by more than 100 people. The mother of 4 tested positive for the BRCA-2 mutation scene elected to have a double mastectomy, breast reconstruction, and a hysterectomy. She posed without clothes on in order to promote general cancer awareness. She claims those who complained missed the point. Gynecologist Dr. Jennifer Ashton said that she was impressed and inspired by Beth’s spirit and courage. Beth joined them over the phone in the studio. 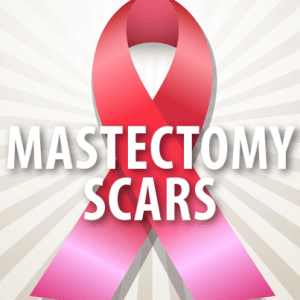 The Doctors were also joined by Dr. Gabriel Crenshaw, a clinical psychologist, who said that his mother had breast cancer and when she had the mastectomy, he was the one who cleaned her wound for her. Dr. Andrew Ordon said that one out of eight or nine women will develop breast cancer in their lifetime. He said that Beth was very brave to show her story. Beth is part of the Under the Red Dress project and she talked a little bit about it. The project’s intention is to build awareness for people going through cancer or who have gone through preventive surgery. They want to raise awareness to help people recognize the need for health checks. Then The Doctors switched gears to talk about a health initiative in Canada that’s promoting crack pipe vending machines. The machines are selling the crack pipes for 25 cents. Officials at the drug user resource center in Vancouver believe that making the pipes easily accessible will help stop the spread of diseases like HIV and Hepatitis C.
Mark Townsend, the mastermind behind this initiative and the director of the Drug User Resource Center in Vancouver, British Columbia, came by to talk about it. “In our community, lots of people suffer from HIV and AIDS and people also suffer from addictions. We would love everyone to be clean and not use drugs, but for those who do use drugs in our community, we care about them, they’re our friends, our family, we want to keep them safe. We have discovered by providing clean crack pipes, that keeps people safer,” Mark Townsend said. He added that a massive study showed that this initiative isn’t encouraging drug use and it’s bringing down HIV rates down in his city. The reason why it’s connected to HIV is because the cheap pipes people use will crack, causing lips to bleed, and then they’ll share the pipes, spreading the blood. “We would rather they detox, but we don’t want addictions in our community to be a death sentence,” Mark Townsend. The Doctors were all very divided on this story, but the general consensus seemed to be agreeing with the philosophy behind programs like this. In Washington, D.C., they had a needle exchange program that brought HIV rates down 80 percent, so programs like these are happening even here. Dr. Crenshaw, however, couldn’t get behind it. He said it seemed like giving the stamp of approval on these people’s lifestyles. The Doctors then talked about a 26-year-old Englishwoman who sliced off her tattoo and sent it to her boyfriend after learning that he was cheating on her. The tattoo was of her boyfriend’s name. When Dr. Ashton said this is why she needed Dr. Crenshaw’s help, he joked that this is why he’s a Ph.D. and not an M.D. He said this is really self-mutilation, but usually self-mutilators are private. Here, she shared it on Facebook, so she wants the attention. Dr. Crenshaw said that this was both a cry for help and an attempt to get back at her ex. Dr. Travis warned people not to try this at home. It’s worth noting that this was the first time I’ve ever seen a doctor on-air warn us about the image we were about to see. That’s how gross and terrifying this woman’s injury was, so be careful watching the below video.